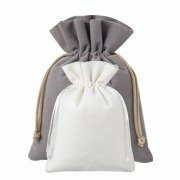 In our wholesale online-store, we offer a very large selection of decorative bags made of interesting and attractive fabrics. We have a wide range of colours and sizes. You can choose something perfect for yourself. 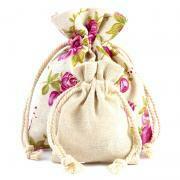 Regardless to the size of the content we have pouches for every occasion! 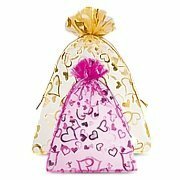 Bags made of organza: it is an incredibly versatile fabric that works well under any circumstances. 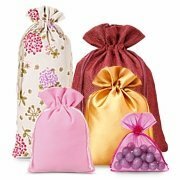 Organza is delicate and translucent so you can see the items stored inside the pouch. It is used almost everywhere. 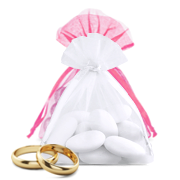 Bags made of organza are often used as a package for small guests’ gifts at weddings and other events, such as birthdays, anniversaries and communions. Jute bags: this is a colourful alternative to the classic packaging of various things like cosmetics, jewellery and other personal items, that we want to give a special place to store. There are many interesting sizes and colours available. It is a durable fabric popularly known as burlap. 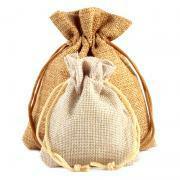 Jute bags are very strong and will serve for many years. Some people call them as hessian bags due to its historical meaning. 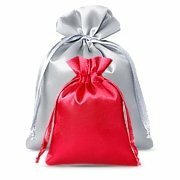 Bags made of satin: are a great way to pack an exclusive wedding gift or presents for other occasions. You can put in them, for example, a piece of jewellery or expensive cosmetics for your loved one. 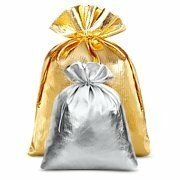 Satin sacks have a nice gloss, which makes them look very attractive. 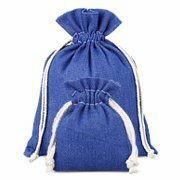 Linen bags: extremely attractive and durable are suitable for storing food items. Because they naturally slow down the drying process, they are perfect as a packaging for herbs, spices and even dried mushrooms. 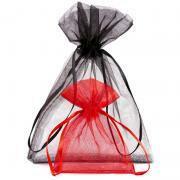 Pouches made of metallic organza fabric: they are interesting and shiny alternative for business gifts. Available in gold or silver, consist a fantastic idea to pack a gadget or a surprise gift.